It's no secret to anyone that knows me that black and white buffalo plaid makes my heart pitter-patter! For that very reason, you will see this timeless print on many items featured in my shop. 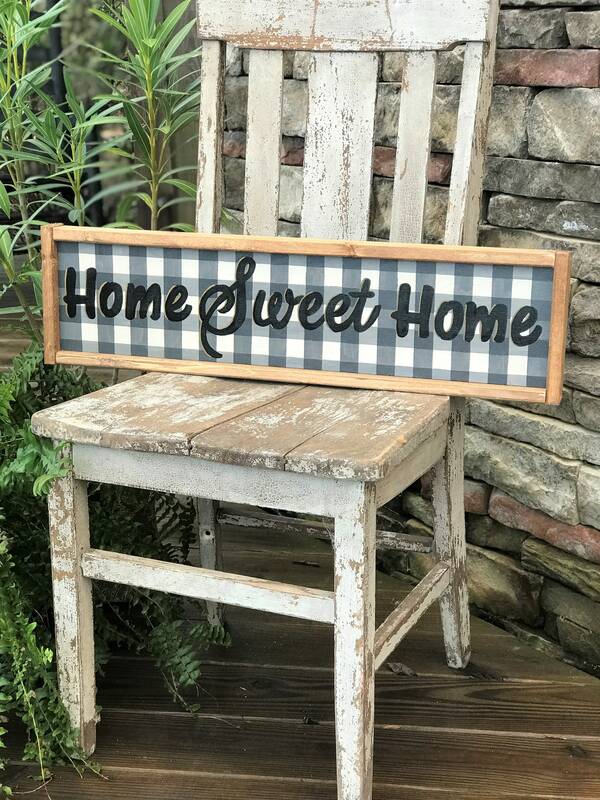 This sign reads "Home Sweet Home" painted in black and highlighted in gold to make it "pop" against the plaid. Y'all...Its so stinking cute!